Intrusion Prevention Software (IPS) is a specific type of network protection program that is a logical and vital approach to maintain a networks security when it comes to potential threats and risks. Although businesses have been using intrusion prevention programs for more than 10 years, new, advanced technological and network threats have caused Intrusion Prevention products to be reinvented. Because of this, this specific software solution is now commonly referred to as Next-Generation IPS. Now a critical part of any business operation, Intrusion Prevention software is essential in protecting business network from a variety of different threats. Content Knowledge - Intrusion prevention will be able to examine and identify inbound executables, alone with other types of files, like a PDF or network downloads. Context Knowledge - By having specific context knowledge, an IPS will be able to identify outside sources in order to improve network blocking standards. 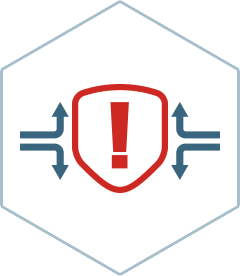 Application Awareness - This specific part of the of an intrusion prevention program will examine network applications and provide network protection, while enforcing specific rules.